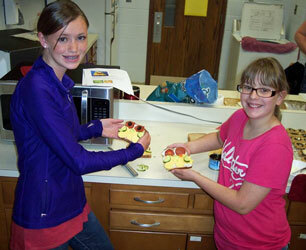 4-H Food and Nutrition Projects can be delicious and nutritious! Help youth learn about how to have the right recipe for success. Plan, prepare, and present 4-H Food and Nutrition Projects. 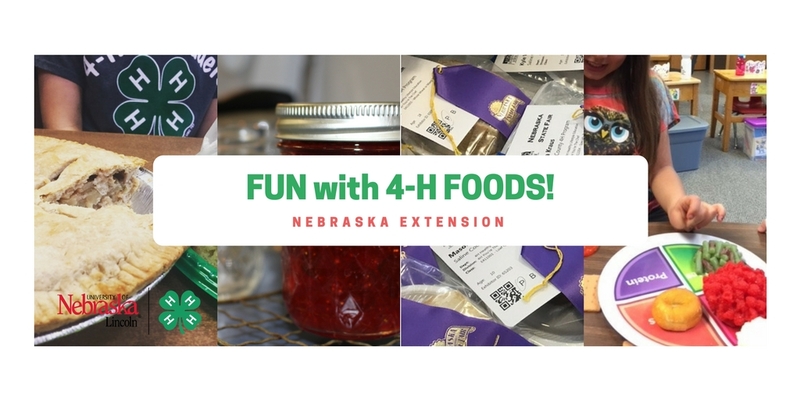 Check out our online catalog for Nebraska Food and Nutrition 4-H Curriculums. For more info on how to cook up a great 4-H project, visit our 4-H Projects Page. Who says pizza is just for dinner? 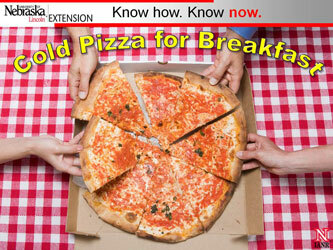 Check out Cold Pizza for Breakfast and learn all the important do's and don'ts for tweens and teens food safety! Tacos left out on the kitchen counter? Food growing fuzz in the fridge? 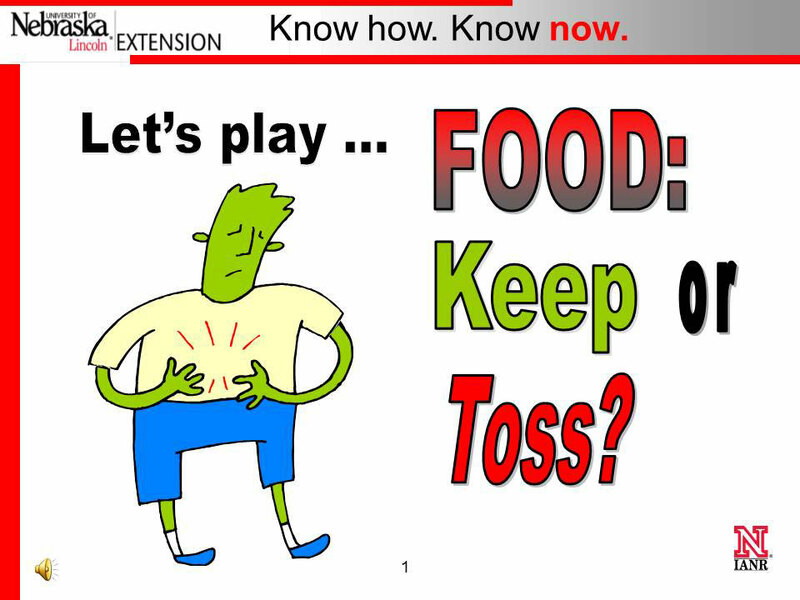 Let's play...'Keep or Toss".... and test your game plan for food safety. Click on image below to view interactive power point program and handout! Kitchens are one of the busiest rooms and may also be one of the most dangerous rooms in the house. Check out Kitchen Safety to learn tips for keeping you and your family members safe when working in the kitchen. Food safety is also a concern when planning your 4-H project to exhibit at 4-H competitions. Learn more about choosing safe recipes for your 4-H projects and food preparation tips and techniques for food safety and explore Fairs, Fun and Food Safety for 4-H.
Learning how ingredients react with each other when exposed to different temperature ranges. Making predictions as to how recipes may turn out with different ingredient or mixing techniques. Understanding how food production is impacted by the science of agriculture. Using the five senses with sensory exploration. Food Science can always provide a chance for kids to guess what might happen when they do their project and gives them a chance to analyze the results and experiment with varying ingredients. Looking for something interesting for an upcoming science fair? Want to focus on food? Explore simple experiments and activities that Penn State University has to offer for food science! Iowa State University's Welcome to the Fabulous, Fascinating (& sometimes FREAKY) World of Food, for K - 8th graders. These experiments are meant to have some adult supervision. Elementary and pre-school age youth will require an adult present, but all ages will enjoy the results! Explore eXtension for objective, research-based and credible information you can use every day to improve your life! There are lots of resource areas to choose from for communities, families, and youth, as well as many related to agriculture. Look at some of the terrific ideas under Food, Families, and Fitness for some fun with your 4-H'ers and your family! Meal preparation starts with the basics. Understanding how measuring teaspoons, cups, and liquid measuring cups equal each other is good first start! 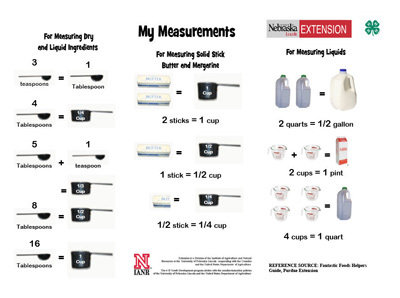 Use the following chart as a your guide or download your own My Measurements Guide to help learn the differences between teaspoons and tablespoons, quarts, and gallons. Help children learn about food and healthy eating by inviting them into the kitchen. The United States Department of Agriculture (USDA) offers assistance in locating recipes, activities and guidelines to use when cooking with kids. An appropriately written menu should follow the Dietary Guidelines for Americans and MyPlate to assure nutritional adequacy. 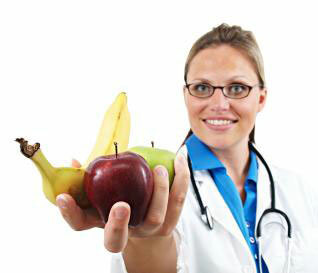 Good menus have choices from every food group and get the most nutrition out of the calories provided. The United States Department of Agriculture has developed lots of teaching materials for kids and nutrition! 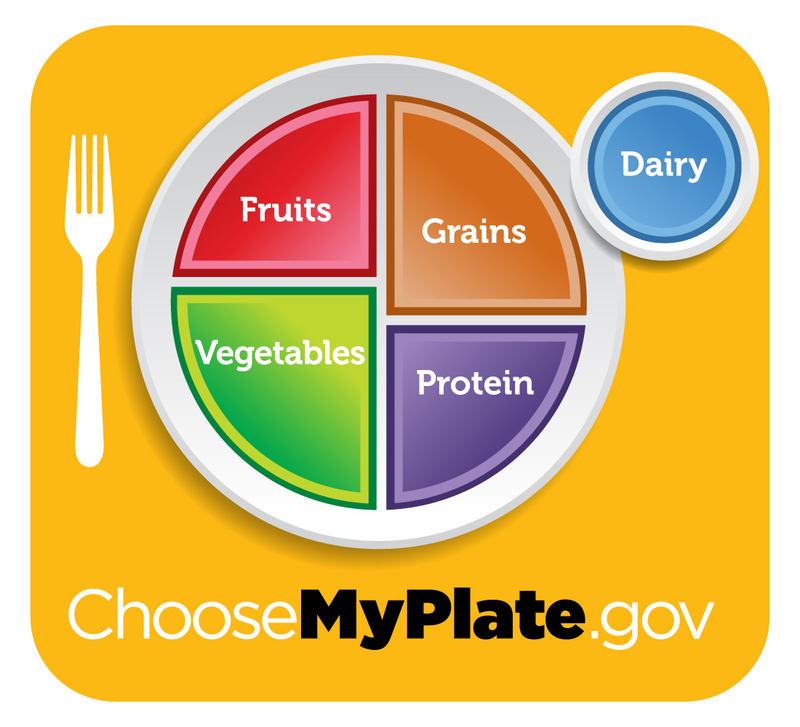 MyPlate Kid's Place is a great place to look for fun info about food! Topics include games, activity sheets, videos and songs, ways to get active, recipes and MORE! Have you ever thought about making a career of foods? Here's just a "taste" of careers that can await you as a graduate of Nutrition and Health Sciences in the College of Education and Human Sciences. Not sure what's for you? Explore Your Possibilities! Interested in learning more about 4-H and Foods? 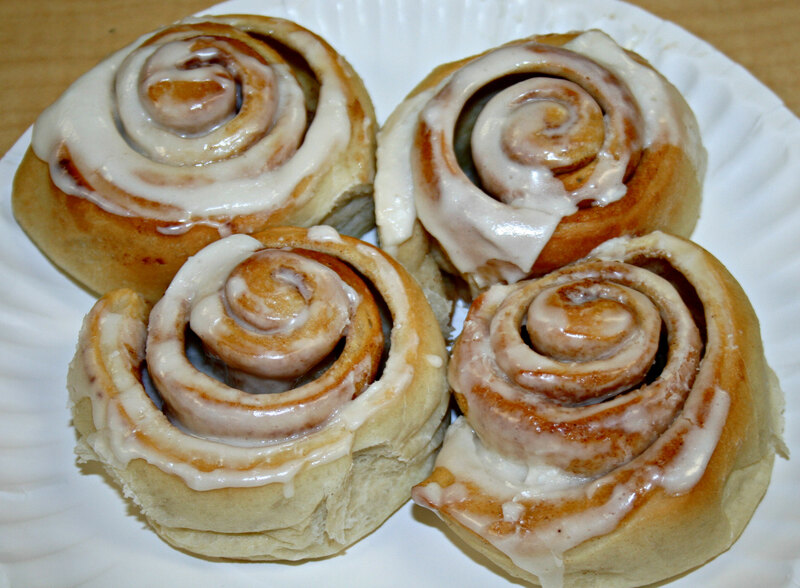 Join the 4-H program in your county and get cooking! 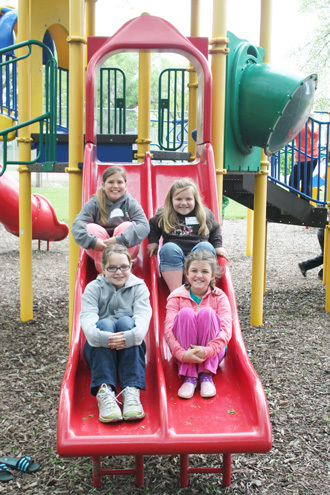 4-H provides many fun opportunities for youth to learn about food preparation and meal planning for healthy families, or for a future career.